2 PACK packaged, 2016 newest upgrade 360° rotate + 30° sway adjustabe, maximize your view with wide angle in car. All convex spot mirrors are equipped with tiny adjustable swivel mounting bracket for easy installation. IP65 waterproof, rust resistant and the glass will not haze. Suitable for interior or exterior use. 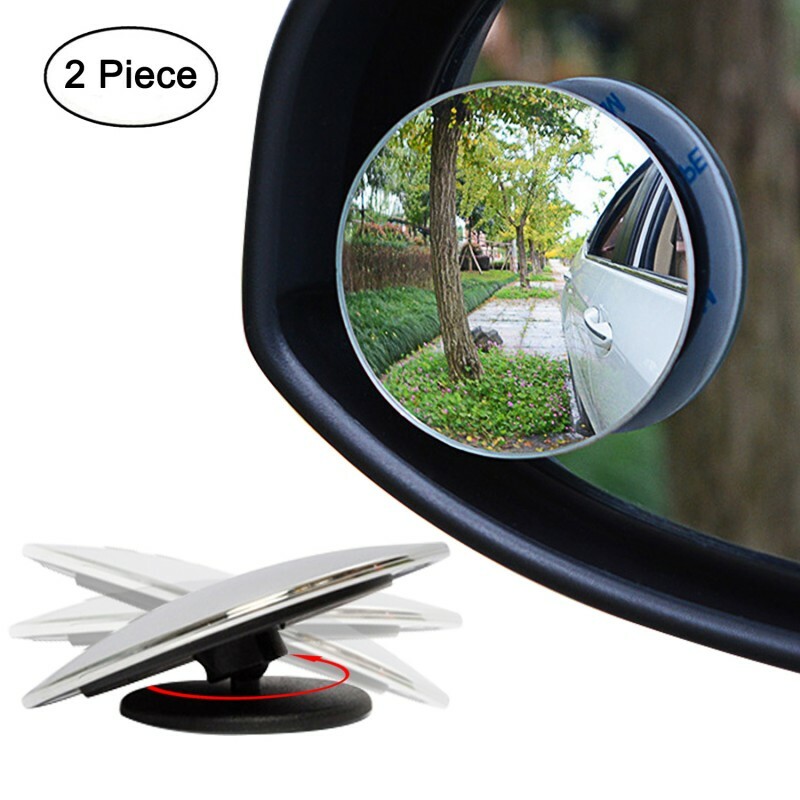 2 x blind spots mirror and support. PLS NOTE: this item do not fit for motorcycle. 2, All convex spot mirrors are equipped with tiny adjustable swivel mounting bracket for easy installation. 3, Suitable for interior or exterior use. 4, Rust resistant and the glass will not haze. 5, Strong 3M stick-on for solid stick. Easy to apply and dual purpose. I like the fact it came with the hardware to make it swivel or you could mount it flush to the mirror. Good cost effective product that resolved my wife’s blind spot in her van. These cover my blind spots very well, left and right. They stick firmly to the glass and are easy to adjust the view angle.